Philips Sonicare Healthywhite vs. Flexcare, Which Should You Buy? Oral-B 5000 Professional SmartSeries vs. Deep Sweep: What’s The Difference? Like all activity trackers, UP by JAWBONE is able to track all your daily activities and motivates you to be more active. Using UP, you’ll be able to track your steps, calories burned, hours slept and quality of sleep. The UP app also has cool features like the Smart Coach, which encourages you to make at least one healthy choice per day. We will look at and compare two UP models: the UP2 and UP3, and see the difference between them. We’ll also compare UP to other activity trackers like Fitbit Charge HR and Garmin’s Vivosmart. Tracks steps, calories, sleep duration and quality. The band is adjustable to fit all sizes. “Smart Alarm” vibrates to wake you up at optimal time. “Idle Alert” vibrates and alerts you when you haven’t moved for too long. Smart Coach App offers personalized guide to help you make healthier choices everyday. UP Food Score app analyzes your food intake and lets you know if you’re eating right. Add friends and family to score and reach goals together. Click here to learn more about UP2, read the customer reviews and buy it. Advanced activity tracking includes: steps, distance, calories, running, swimming as well as sleep hours and quality. Advanced sleep tracking includes light and REM sleep analysis. Heart Health monitoring captures your heart rate when you wake up. Smart Coach and Food score apps. Click here to learn more about UP3, read the customer reviews and buy it. UP2 vs. UP3, What’s The Difference Between Them? Get alerts while staying in the flow of your day. UP2 uses a simple vibration at the wrist to wake you up at the optimal time with Smart Alarm. It even lets you know when it's time to get up and move with Idle Alert. It tracks more activities like running and swimming. It gives you more insights over how good your sleeping is. It also monitors your heart health, which the UP2 doesn’t do. It is worth stressing that the Heart Health tracking isn’t a continuous heart rate monitoring, meaning, it will not track your heart rate as you work out. This feature of the UP3 works by capturing your heart rate daily, first thing in the morning before moving your arm, and analyzes your heart rate pattern. Which Is Best To Buy? UP2 or UP3? If you’re looking for basic activity tracking: steps/calories burned/sleep quality, the UP2 is good for all those things and costs way less. If you’re looking for advanced tracking like what the UP3 does, we would actually recommend something other than UP3. There are other trackers for the same price than perform way better than the UP3. Keep reading the post to find out…. 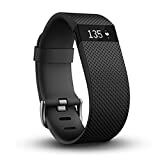 UP3 vs. Fitbit Charge HR, Which One To Buy? Like we just mentioned, we’re not big fans of the UP3. As it sounds like a better choice than the UP2, and maybe that’s possible, it does not compare to the Fitbit Charge HR, which costs a little less and offers WAY more. Both offer advanced tracking for steps, calories, sleep, running, swimming and more. The UP3 (and UP2) does not have a display, you have to connect it to your phone and see your activities on the app. The Charge HR has an OLED display that shows you your activities, a clock, and call and text notifications. The UP3 measures your Heart Health, by taking your heart rate as soon as you wake up, just once a day. The Charge HR has continuous heart rate monitoring, which means you can see your heart rate in real time, whether your walking, sitting or working out. UP3 lasts about 7 days. Charge HR lasts about 5 days. Without a doubt, the Charge HR wins this one, it’s the best selling tracker on Amazon for a reason. Actually, we’ll even recommend the Fitbit Charge over UP2. You can read our review and comparison of Charge and Charge HR here. Garmin’s Vivosmart is another great option for an activity tracker. And it makes a smarter choice than the UP3. VIBRATION ALERTS - vivosmart lets you know when you have calls, texts, emails, meetings, or if you just need to walk, with a vibration alert. AUTO SYNC - vivosmart automatically syncs with mobile devices at strategic times throughout the day, such as when a goal is met or when several steps have been taken since the last sync. Tracks steps, distance and calories burned. an OLED display that shows you your stats immediately. Receives notifications from your phone, displays caller ID and text messages and email. It does NOT feature a built-in Heart rate monitor, but can be connected to Garmin’s chest strap (sold separately) to monitor your heart rate. Available in 5 colors and two sizes. Why Is Garmin Vivosmart a Better Choice Than UP? You’ll get a lot more for your money. Not only will you be able to track your activity but also wear it as a smart watch that displays time and notifications. Click here to learn more about Vivosmart by Garmin.